DD-3000-OT is a complete 6 gauge set that plugs directly into your stock wiring, and even use the stock mounting hardware and senders. Fits all 96 - 03 fairing models including Road Glide. MCL-3000-OT is a complete 6 gauge set that plugs directly into your stock wiring, and even use the stock mounting hardware and senders. 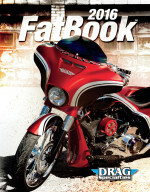 Fits all 96- 03 fairing models including Road Glide. Additional features include, clock, gear position, 0-60 time, ¼ mile time, ¼ mile per hour, 0-60 mile per hour, and high speed recall. Includes cruise on and cruise engaged indicators as well as security and check engine lights. Extremely bright blue LED displays are highly viewable in sunlight! * Oil temperature gauge comes with sender you will install in existing hole in Oil Pan, wiring is included. * '96-99 Models with a mechanical speedometer cable will require the use of a SEN-1011 speed generator. This will allow the MCL-3000-OT instrument kit to utilize the factory speedometer cable coming from the front wheel.